At the end of the day, it’s not about what you have or even what you”ve accomplished. It’s about what you’ve done with those accomplishments. Its about who you’ve lifted up, who you’ve made better. 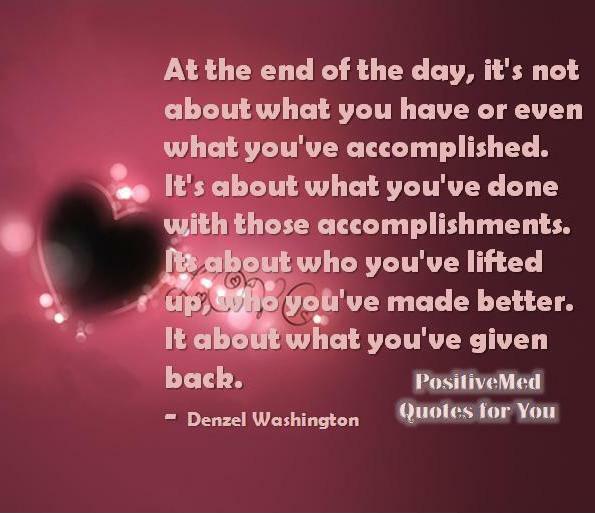 It’s about what you’ve given back.